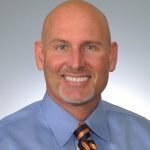 Back pain is extremely common – and frustrating. According to experts, 80% of the population will suffer from back pain at some point. 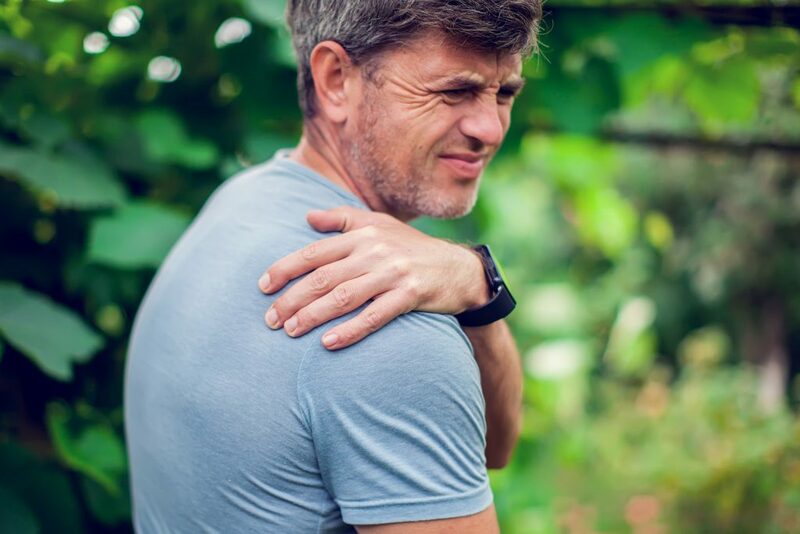 Often back pain isn’t caused by serious conditions, which means you have to manage your pain until your back is healthy again. 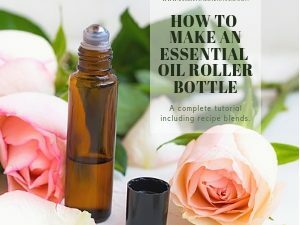 If you’re looking to avoid excess use of painkillers and try an all-natural solution, essentials oils may be right for you. Managing your back pain is possible with essential oils. In fact, recent studies now support the medicinal properties of essential oils for pain conditions, including back pain. 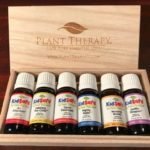 Let’s go over how essential oils work and which ones have shown positive results in studies on back pain. 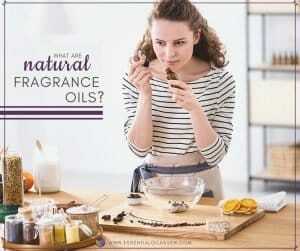 Essential oils are 100% natural. Basically, they’re extracts taken from plants – whether from the flowers, barks, stem, leaves, roots, fruits or other parts. These extracts can then be used for a variety of conditions, especially for managing pain and stress. 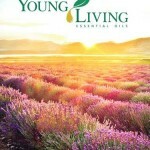 New evidence also suggests that essential oils can play a role in reducing anxiety, fatigue, insomnia and memory loss. They may be applied for common conditions such as depression, indigestion, headache, insomnia, muscular pain, respiratory problems, skin ailments, swollen joints, etc. – as well as back pain. Essential oils are easy-to-use but there are a few precautions you should take. First of all, you should only try essential oils if approved by your doctor. For example, if you’re pregnant, or suffer from asthma or allergies, essential oils might not be right for you. As a rule of thumb, you should never apply essential oils directly to the skin. They must always be diluted before applying them. Generally speaking, every drop of essential oil should follow the 1:12 rule: one drop of essential oil should be diluted with 12 drops of a base oil. Base oils – called “carrier oils” – includes oils like coconut, olive or almond. 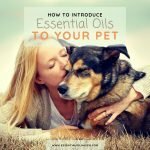 In addition, essential oils should never be ingested orally. They also should never be inhaled or used for longer than an hour. When you first start using essential oils, it’s a good idea to start with a small amount with a high dilution ratio. This way you can be sure you’re not experiencing any side effects, which may include rashes or allergic reactions. If you suffer any symptoms after using essential oils, stop using them and consult a doctor. 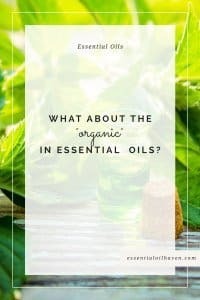 Should I ingest essential oils? A diffuser. 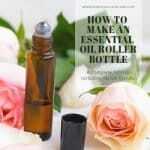 This is one of the most common ways to use essential oils. 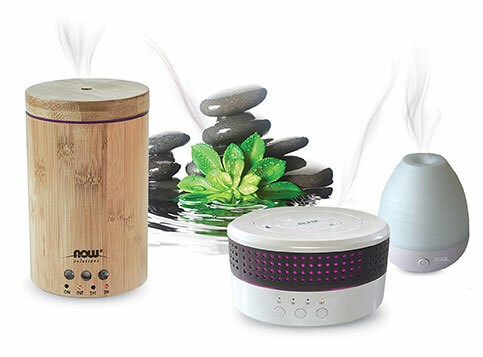 You can inhale them through a diffuser – which you can place in your car or your home. 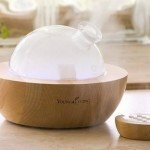 A diffuser releases the essential oil for up to an hour. Or, if you prefer, you can inhale the essential oil by adding drops to a tissue and breathing it in manually. 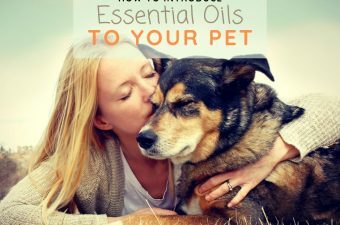 You can also use essential oils topically – but only after diluting them. 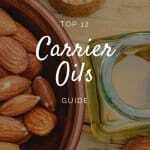 Be sure to pick up a carrier oil (such as coconut, olive or almond oil) and dilute your essential oil using a 1:12 ratio. You can use a warm cloth to then topically apply the oil on the affected area. A hot bath. After drawing a hot bath, you can add about 6-8 drops of your essential oil. (In this case, the water is your dilution method.) 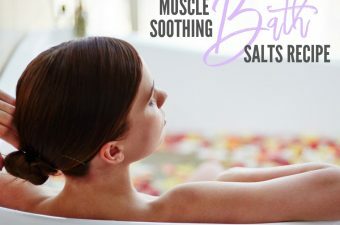 A hot bath promotes relaxation, while also getting the medicinal properties of the essential oil. Massage therapy. 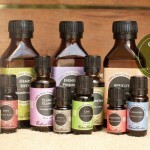 Talk to your massage therapist about using essential oils during your next appointment. An expert will know what essential oils would be ideal for your medical situation. This approach is great for making the most of your relaxed muscles and nervous system. Aching shoulders and back can be a real inhibitor to your regular lifestyle. Eucalyptus is known to have anti-inflammatory properties and immune-boosting properties. It’s good for muscle pain and joint aches, which is ideal for your back pain. In addition, it’s good for boosting your immune system against flus and colds, as well as respiratory infections and skin reactions. Ginger is another well-known anti-inflammatory oil. It’s been proven to help pain management in recent studies. In one study, for example, it showed significant results in reducing lower back pain during Swedish massage. Lavender has multiple uses. For example, it’s good for reducing stress, insomnia and headaches, as well as painful muscles. Moreover, it’s useful for treating skin rashes and burns, as well as headaches. Its soothing and sedative properties make it an ideal essential oil before bed. Peppermint includes the compound menthol, which is known for its “cooling” properties. Menthol is a great anti-inflammatory, which is perfect for back pain. 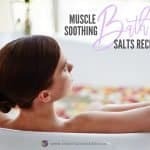 It’s also known to help painful and achy muscles, as well as reduce muscle spasms. Peppermint has shown good results for reducing headaches, itches and infections. Another anti-inflammatory known to reduce stress, insomnia and pain. Marjoram is a top pain management essential oil that’s good for reducing muscle tension typically found in back pain. 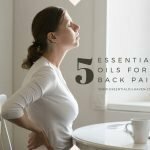 There is a huge variety of essential oils that may help your back pain. 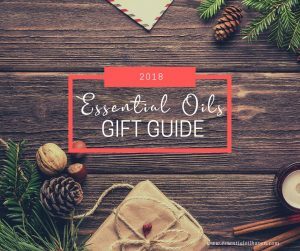 If you’re looking for other potential essential oils, you can try: basil, frankincense, rosemary, camphor, juniper berry, cypress, chamomile, cardamom and black pepper. 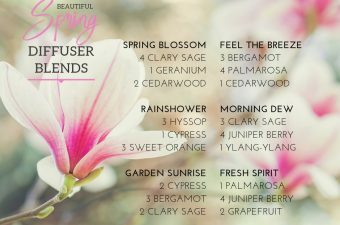 You can even combine different essential oils to make the most of their properties. 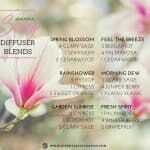 This is called making “blends” of essential oils. To do this, you can get an essential oil “recipe” book, or consult an expert aromatherapist. As new studies are showing, essential oils can have a beneficial impact on managing your back pain. 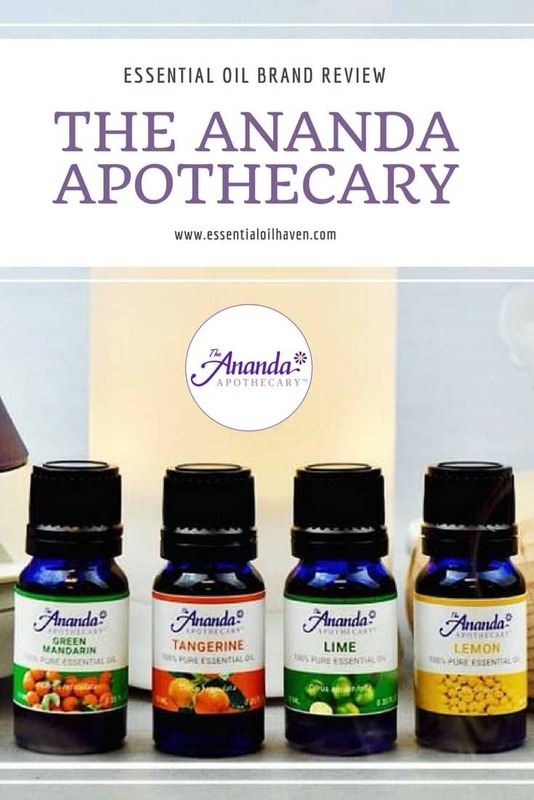 You can try our top five essential oils, or you can seek an expert opinion on what essential oils may be ideal for your situation. For example, contact a massage therapist or visit a chiropractic clinic with holistic services. An expert can create a personalized list of essential oils recommendations, or even use them during your next massage therapy appointment.